Newsletter WordPress plugins allow you to send email notifications of your newly released posts, articles, blogs etc. to your email subscribers. WordPress is a great source to build an innovative website with newsletter functionality. You can easily install a newsletter plugin in your website and push notifications to your subscribers right from inside of your WordPress admin panel. Newsletter WordPress plugins are great tools to grab leads and grow your visitor base through effective email marketing. Here are the 7+ Best Newsletter WordPress Plugins (Free & Paid) with a multitude of features. 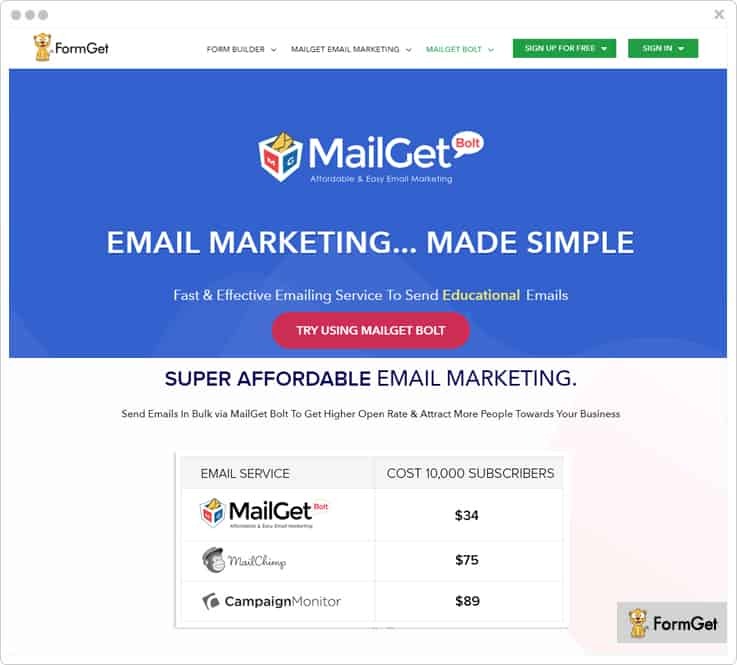 MailGet Bolt gives you one of the fastest and effective ways to send marketing emails. Using this email marketing service you can deliver various types of email notifications like latest post, product and more to your subscriber in a few minutes. In addition, you can easily embed different signup forms on your website or social networking platforms which can help you capture more leads. The best part about this service is it offers you a free trial for a month using which you can send 300 emails per day for free. Starter Plan –This plan will cost you $9 a month with which you can send emails to 2,500 subscribers. The Starter plan comes along with useful features like custom tags, drag & drop email builder, pre-designed templates and more. Rookie Plan – Helps you target upto 5,000 subscribers at a minimal cost of $19/Month. Plus, it provides multiple important features like email scheduling, autoresponder, and complete live chat support. Pro Plan – You can buy this plan for just $34 a month and send emails to 10,000 subscribers using features like automatic follow-ups, drip emailing, tracking and more. Advance Plan – This plan will cost you $49/Month using which you can send emails to 15000 subscribers. This service allows you to create and add unlimited custom tags with the help of which you can send personalized emails with ease. Drip Automation feature helps you to send a series of emails to your users within a specific time interval set by you. List cleaning is a major feature which is supported by MailGet Bolt. It helps you clean out your email list from spam, suspended, bounce and other bad emails in a matter of minutes. With the help of autoresponder feature, you can automatically deliver welcome email to all new subscriber immediately as users join your email list. Also, it helps you to establish connectivity with your users instantly. This most powerful newsletter WordPress plugin will able to provides all the flexibilities and functionalities for your news website. Over 15,000+ people use Mailster to create and send emails newsletter campaign. You can create a stunning news campaign in just a minute with Mailster. Buy its regular license at just $49 for 6-month support. It supports autoresponder to send automatic emails, latest posts, take follow-ups and much more. 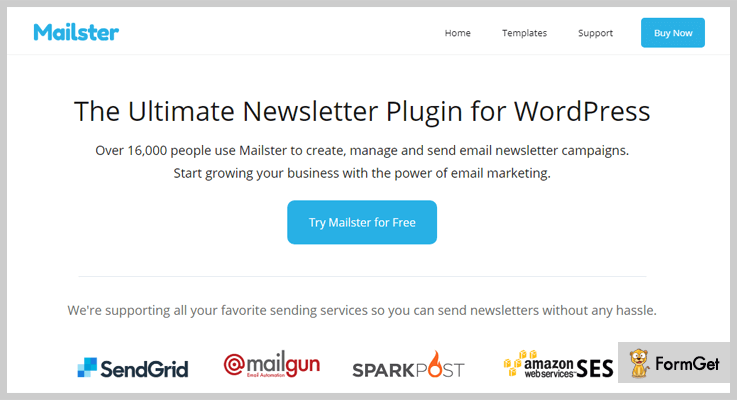 Mailster manages all your subscriber within your WordPress installation. It allows you to take your campaign list in real time. The plugin is completely mobile responsive. This plugin is the most advanced newsletter plugin for WordPress site. It gives unlimited newsletters and helps in creating a number of subscribers for your product and services. It is highly customizable and requires an easy setup. Newsletter manages everything from user subscriptions to emails automation in one place. You can also add an unlimited number of widgets area, pages, follow up notifications to list building and much more on your website through this WordPress plugin. 1. Bloggers can use its tons of services at just $45 with 1 year of supports. 2. For agency purpose, it cost you $129 for 1 year of supports with unlimited features. The plugin is completely documented so that you can always take a look at the online documentation, directly from this website. Allows you to send unlimited numbers of newsletter emails to unlimited no. of recipients. It takes care of your newsletters with a complete set of statistical data. Automated news generator with latest blogs and posts. This Newsletter WordPress plugin is easy to use and can be customized for all the factors you need. You can create a newsletter in your way and start sending the email notification through your newsletter plugins. You can easily and quickly import the contents with this plugin. 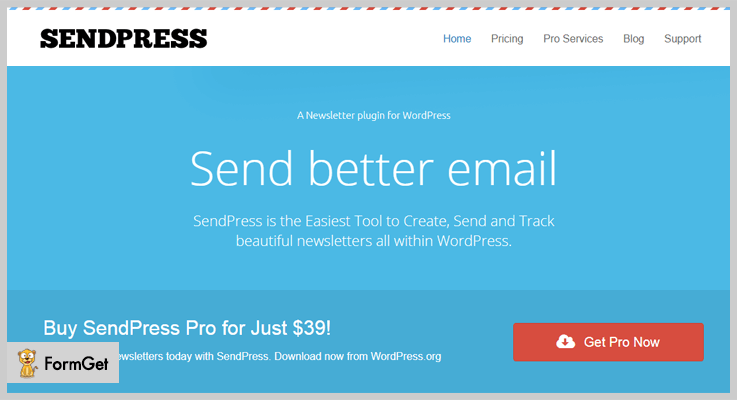 SendPress lets you create the best newsletter that will catch the more subscribers on your website. 1. Personal users can buy its services at just $39/Y for 1 -site. 2. For business, purpose buys its services at $199/Y for 3-site. 3. Developers can buy its service sat just $399/Y for unlimited sites. 4. You can also buy its standard services at $99/Y. It can easily test your marketing emails and newsletter with SpamAssassin. With MX recorder check your customers’ received emails. With Autocron send your emails 5x faster. 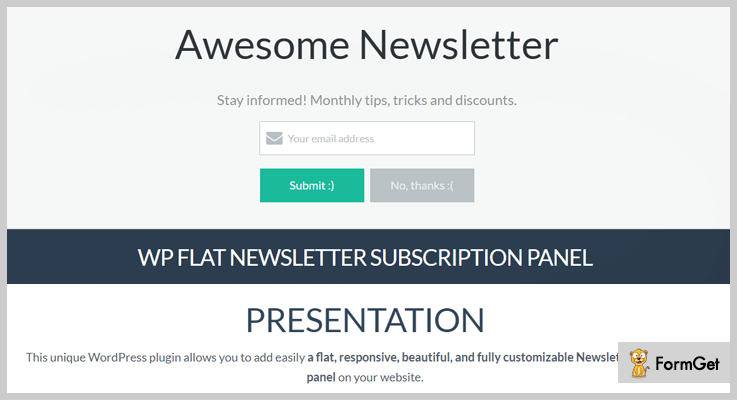 WP flat newsletter subscription is a completely responsive WordPress plugin that lets you add a flat, creative and fully customizable newsletter subscription panel on your WP sites. This plugin is integrated with MailChimp, Get response & Mailpoet list. All the contacts of WP flat newsletter plugin are stored on the backend and all the emails can be sent to MailChimp tool. Buy its services at just $12 for 6- month supports and extended its services up to $85. Supports responsive & flat designs. Fully customizable text, fonts & colors. More than 700+ google fonts are available. Mailfit newsletter is a clean, simple and responsive plugin that is integrated with WordPress. MailFit includes everything which you need to create, send, track the profits from your email marketing services. The plugin is all-in-one to manage all your email and newsletter services. MailFit supports its own SMTP servers such as Postfix, Exim etc. and integrate with other email service providers like SendGrid, Amazon SES and more. Take its regular license at just $ 39 for 6-month support and extend the services from $149. It supports live upgradation every time. Supports custom subscribe/unsubscribe confirmation page. Supports autoresponder for the subscriber. 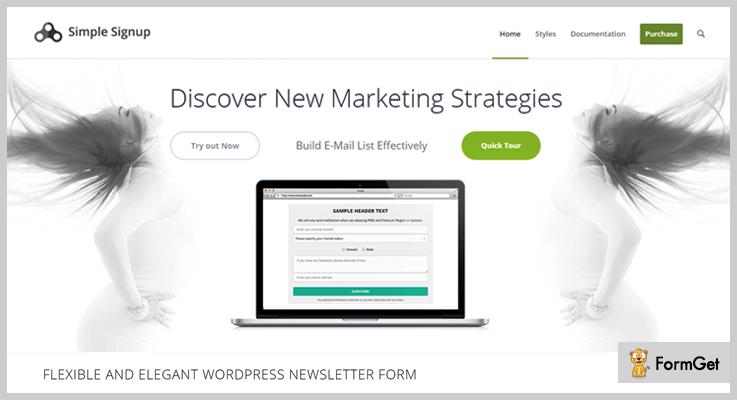 This signup newsletter is a WordPress plugin that lets you collect the visitors/subscribers email address with this newsletter subscription form. This signup newsletter plugin form is simple and fully customizable and supports MailChimp. By default, it provides a ready subscription form for every user. Get its tons of features at just $27 and extends its services from $135 for 6-month support. The plugin supports multiple instances and an unlimited number of users. It automatically redirects the plugin to the specified page. Supports more API integration tools. It is fast and simple. A newsletter is the perfect WordPress plugin for your news website. It is perfect to create, send and track emails, and to build a list in just a few seconds. The plugin help users to send their newsletters to your subscriber or user effectively. This plugin is completely FREE. You can download this from its official site wordpress.org. Unlimited subscriber & newsletter with statistics. All messages are fully translatable. Provides subscriber list to fine target audience. With its diagnostic panel check the blog mailing capability. 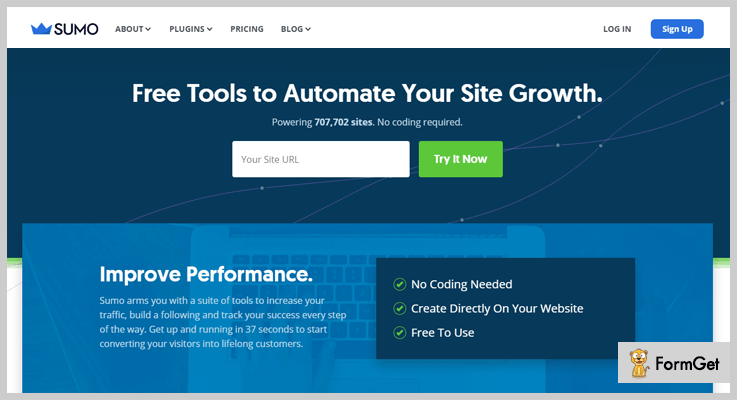 This plugin is designed to grow your business or WordPress site. Free tools WordPress plugin makes easy for your users to join your email list to share blogs, articles and more. The plugin provides you with optimization and analytics. The plugin is completely free. Download it now from its official site i.e., wordpress.org. Free tool integrated with MailChimp & Aweber newsletter integration. It allows a smart bar to appear at the bottom of your pages. Provides SMS and WhatsApp sharing buttons. And here my writing comes to a close. Every single one of these newsletter plugins will let you give your readers updates on every single news and articles. Comment below if you liked the post!